Video from the Bring a Trailer Monterey Motorsports Reunion and Car Week Wrap Up. When I installed relays and Cibie headlamps in my cars, I used 10 gauge wire. That’s probably larger than I need since I’m using only 60/55 watt H4 bulbs and 55 watt H1 bulbs, but it can’t hurt. I couldn’t find any good sockets locally that use 10 gauge wire. Most of the connectors were phenolic resin that used 16 gauge wire. I’d read about ceramic sockets for headlamps on the Internets but never looked for them in earnest. When I broke a soldered wired off of one my headlamp sockets while troubleshooting a non-working turn signal, I thought I should find a socket compatible with the rest of the robust wiring. I found these ceramic sockets on eBay and bought four of them. They’re OK quality. The cover, which has a plastic hinge, snaps closed after inserting the contacts. I had to trim the tabs that hold the cover closed with an X-Acto knife before it would close completely. I soldered the wire to the connectors before inserting them in the sockets. At least they worked with the 10 gauge wire. The previous owner of our BMW Bavaria put in a Momo V35 steering wheel. It felt great when driving in a sporting manner. But now the leather by the top spokes is worn, so I bought a Momo Super Indy on eBay – probably because I remembered my parents’ Bavaria had the OE wooden steering wheel (the diameter of which has been likened to a bus steering wheel). The Momo steering wheels are a nice 350 mm (~13.78 inches). I’m not sure if the Super Indy looks right, with the polished aluminum spokes. At least the color of the wood on the steering wheel relates to the color of the wood on the dash (like the color of your necktie should relate to the color of your socks – ask Egon von Fürstenberg). Maybe I should have looked for a Nardi steering wheel. 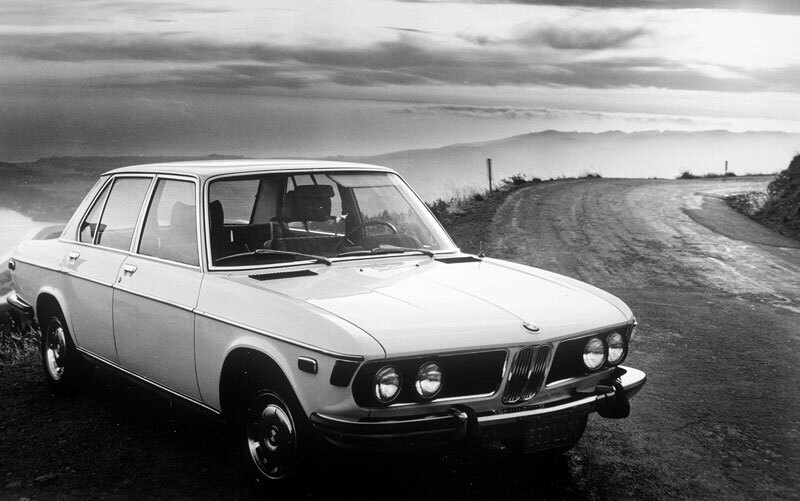 When we first got our 1972 BMW Bavaria, the paint was failing. I bought a Makita 9227C 7-Inch Hook and Loop Electronic Polisher/Sander from Amazon to try to save it. I didn’t know that the paint was already dead. All the Meguiar’s compounds, glazes and waxes couldn’t save it. After hours of work, the paint would look good for a week or two. Now, with relatively new (single stage) paint on the car, it’s a different story. After washing the car, I’ve been using Meguiar’s NXT Generation Tech Wax, Zymol Cleaner Wax or Eagle One’s NanoWax, applied by hand with a foam pad. Then the Makita polisher, with a wool polishing bonnet or a foam pad, removes the wax easily and leaves the paint nicely polished. It doesn’t take a lot of effort and the paint shines; I’m just trying to protect it. I still dread having to wax the car, but it turns out, with the Makita polisher, it really isn’t a big effort now.